Must ask Minister to take a look at that corner. Is it not enough support? 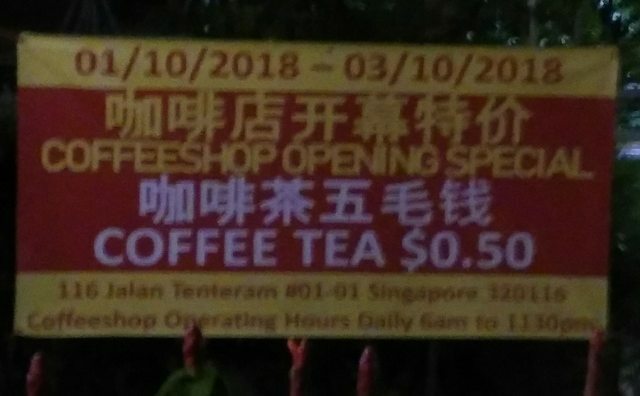 Yes, the coffee shop opened on 21 Dec 2017. The coffee shop consists of a veg stall, a drinks stall, a noodle stall, a chicken rice stall, and a Zi Cha store. There are two empty stalls waiting to be leased. Giant has been open for a few months. Which Kopitiam you all referring to? It is just an ordinary coffee shop at Blk 116. Visit it before it too is gone. Won't last long. Population not enough to support. What matters are the rent and the customer base. My place got enough population but 3rd player coming in within a period of 2 years. must walk 20 mins before got MRT? isnt that quite bad?